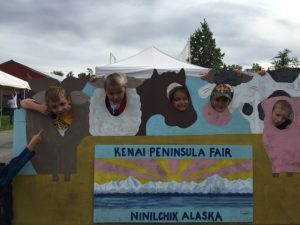 On August 21, it was kid’s day at the Ninilchik Fair and the kids were in school! So the Fair organizers opened up the fair early from 9:00 to noon for KPBSD students to go on a special field trip where they went on a guided tour through the fair to learn about the fair animals. Talk about excitement!